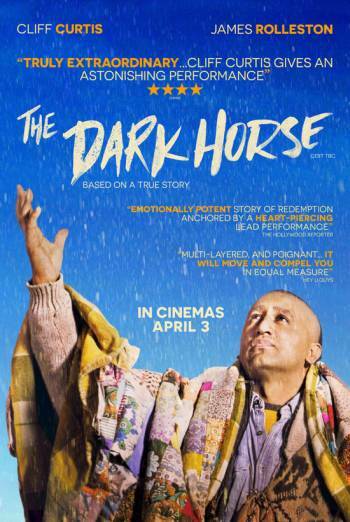 Summary THE DARK HORSE is a drama based on the life of Genesis Potini, a man suffering from bipolar disorder, who helps young people in his local community stay away from gang crime by teaching them how to play chess. THE DARK HORSE is a drama based on the life of Genesis Potini, a man suffering from bipolar disorder, who helps young people in his local community stay away from gang crime by teaching them how to play chess. There is frequent use of strong language, including a single use of 'motherf**ker' and over sixty uses of 'f**k'. There are scenes of strong violence in which characters are punched in the face or headbutted; characters are seen with significant injuries following the violence. There is a brief moment in which a character is seen smoking from a crack pipe.